Breastfeeding is an amazing journey for both baby and mummies, the benefits of it extend well beyond basic nutrition. Working mummies like me who need to return to work after maternity means saying hello to breast pumping, storing our breast milk in bottles and breastmilk storage bag. 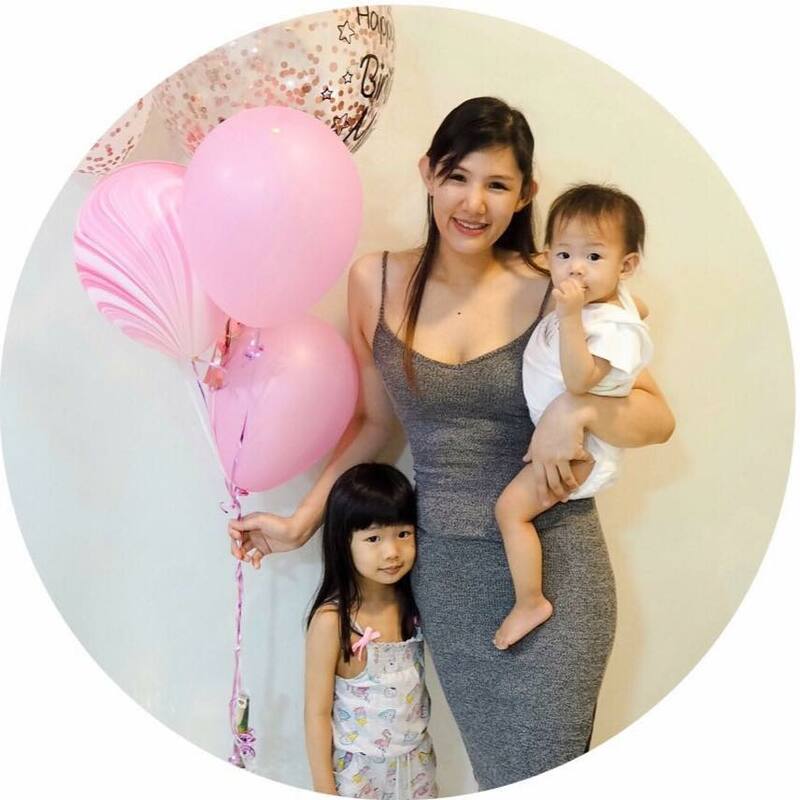 Getting a good breastmilk storage bag is not easy as well, some leak and some smell like plastic, I want the best for my child so searching one to store my precious golden drops is important. I want to know my milk is stored safely and securely for my future feedings. Appletree breastmilk storage bag is a real help in keeping milk stored and kept out of sight. It is made of BPA-free thick plastic, this high-quality double zip-lock which is leak & spill-proof. The seams are also highly reinforced and the dual layer bag makes it really sturdy. Another reason why I love the AppleTree breastmilk storage bag is that it is simply an awesome way to store milk in the freezer, other than being strong and durable it is also designed to lay flat in the refrigerator or freezer, this helps to save room while storing multiple bags. Labeling breastmilk is also very important for the safety of our baby, we got to make sure to maintain the maximum freshness of your breastmilk. AppleTree freezer compatible stickers are prepared for you to write your child's name and date and time of the breastmilk. 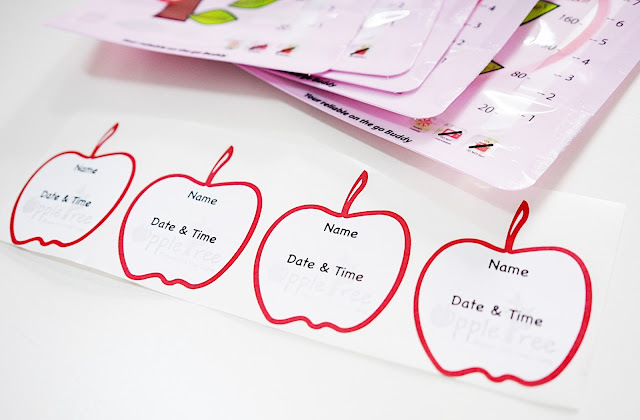 Having your child's name written on is great for those who send their kids to daycare, it will ease the caretaker's job and make sure they got the right packet of milk for your child. 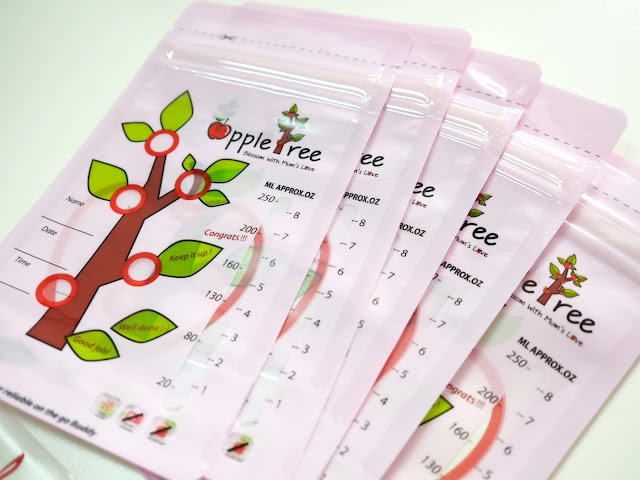 AppleTree breastmilk storage bags has the perfect balance between quality and price. I find them perfect for collecting, storing and freezing your breast milk and it keeps the milk clean and safe for my baby even after being kept for some time!